Discussion in 'iPad 2 Forum' started by PeterSanders, May 7, 2011. I received my iPad2 yesterday. I like the iPad for some of it's capabilities, but it is SO restricted and restrictive. After only a few hours on the iPad, there are soooo many things that are "wrong" or missing or just plain ODD. I may soon find out that the odd things are not too odd after more time on the gizmo, but so far I am not impressed with the TOO TIGHT control that Apple has over iPad owners. I'll get back to this forum soon with more thoughts. When changing settings why do we have to switch a setting to "OFF" to turn the setting ON! BTW Where are the CURSOR keys? Nope, unless you use a Bluetooth keyboard, there is no cursor keys. You have to touch the screen and hold until it zooms into where you need to place the cursor. I love this but there are some who prefer the keys but each to their own. Thanks Tim, couldn't do that so answered it. I didn't answer the other question because it's logical to me too. I think you have to just forget previous computers and go with flow when on the iPad. So the switch in the image is OFF in that position? I'll be honest. When I saw he thread title "problems" I thought it was like a physical issue or something like that. I think concern would be a better word. Because i clicked it thinking "oh no! What happened?" Yes -- sorry that was me. I cut off the post from the end of the other thread and started a new one because I thought that, otherwise, it wasn't likely to be seen by too many people. 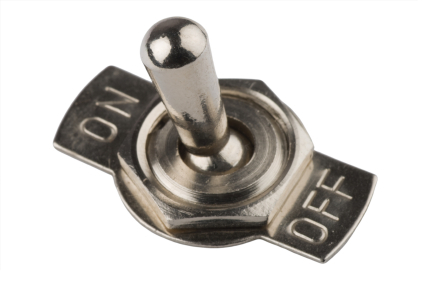 I can see where you're coming from - does 'Off' indicate (a) press to turn off or (b) it's currently off. I am totally confused too. You added this thread to one of his other threads? No - originally the OP had posted on an 'Introduce yourself' thread. I thought that, typically, members don't hang out there, so I moved the original post to the Help section and renamed the thread. Funny how people see things so differently. The switches in the settings are in two sections: press the left side and it's on. Press the right side and it's off. I have a couple light switches in my home which are similar, so the setup is perfectly normal to me.